Monitoring your ad accounts (especially if you’re managing more than one account across several search/social channels) can be extremely tedious and time consuming - but it doesn’t have to be. Instead of repeatedly checking your campaigns, ad groups / ad sets, ads, and keywords, you can create custom automated Alerts that notify you when certain criteria is met - such as your budget running out, or a drip in your ad clickthrough rates. Knowing which campaigns need your immediate attention saves you from wasting time sifting through your account, but still requires manual labor to apply your optimizations. This is where setting up automated rules can really help alleviate the need for performing tedious management tasks. Rules allow you to make changes in an account automatically by defining conditions and criteria that must be met (for example, pause ad copy that have CPAs higher than $120). 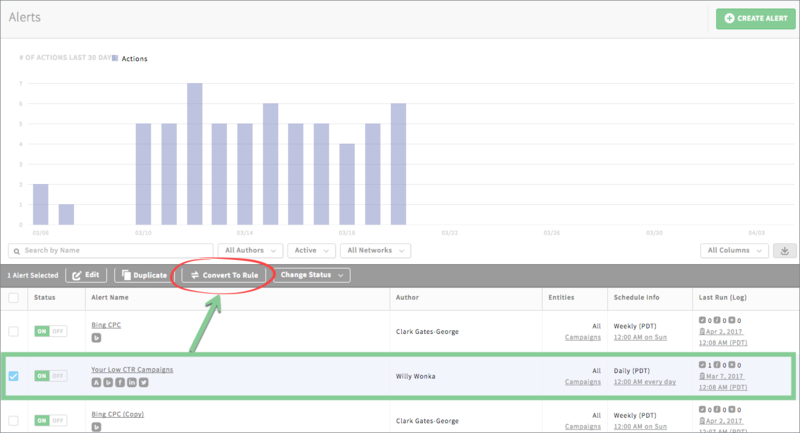 You can set rules for routine tasks like pausing/enabling ad groups, ad creative, or even manage bids and budgets. Ultimately, you save time and effort when staying on top of your account performance, while increase the results. All that sounds great, but putting your accounts on autopilot can be a little intimidating at first. Now you can easily convert your existing alerts into rules to automate the same actions you’re already taking on your accounts. After you create your performance alerts in Automate, you'll start to receive email notifications. Keep track of the alerts you find yourself taking actions on -- or in other words, the alerts that prompt you to apply the most manual optimizations. 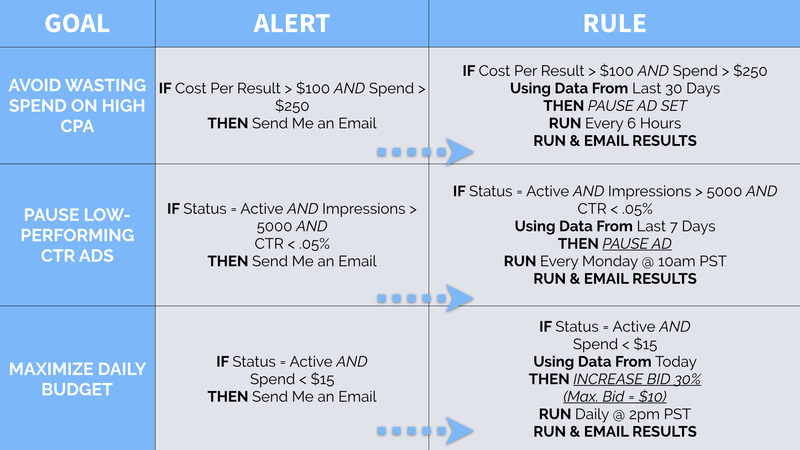 Use this best practice as a guide to figure out which alerts to convert into a rule, so you can automatically apply those changes (without losing sleep worrying if your automated rule is negatively impacting your account performance). Convert My Alert to Rule! Note: You have the option to automatically run and apply your automated rule or require email approval before applying any changes. You can go ahead and give it a try here. P.S. If you have any questions about Automate Alerts and Rules feel free to reach out to us at support@adstage.io.